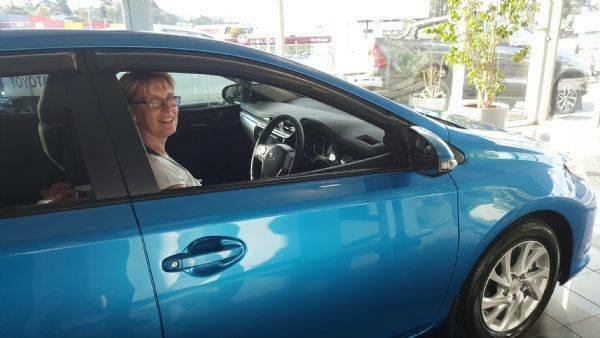 Another happy Toyota Corolla owner! ... Linda from Mooroolbark. 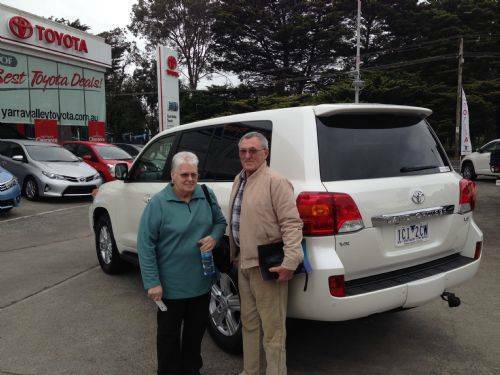 Congratulations to David and Sarah-Jade from Wandin North! 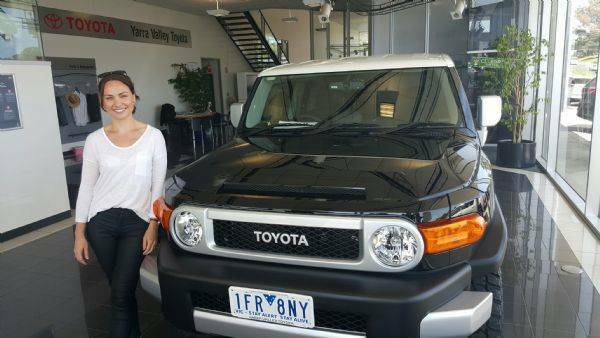 Now the proud owners of a shiny new FJ Cruiser. 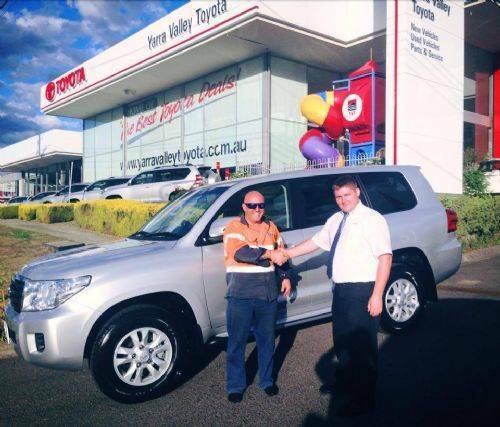 Kenneth from Mount Evelyn is picking up his brand new Landcruiser VX. Ken is planning on taking a trip up north with his wife. 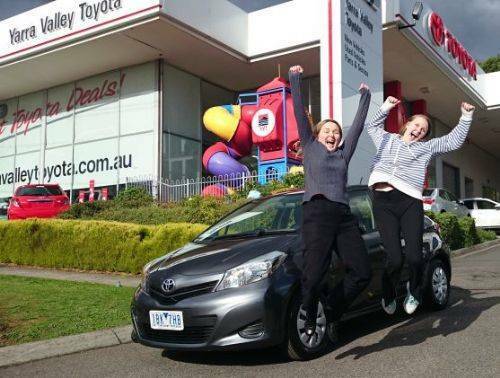 Cassie from Mt Evelyn collecting her new Yaris from Lilydale is very excited! 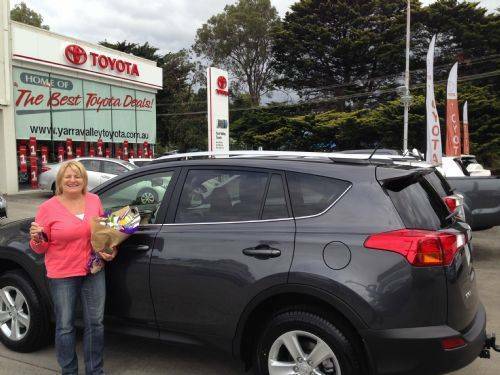 Donna from Gladysdale taking delivery of her Rav4 from Lilydale! 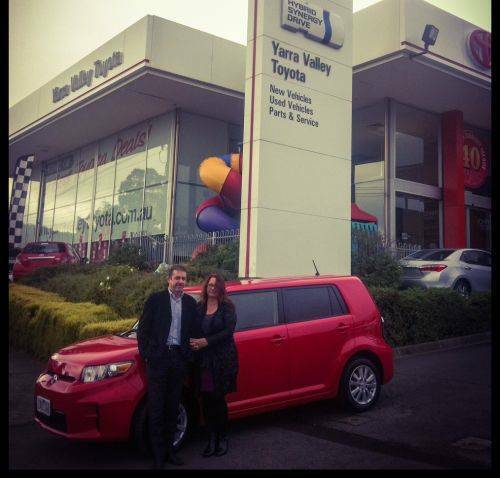 Vicki & Phil from Silvan collecting their bright red Rukus from Lilydale! Look at that grin! 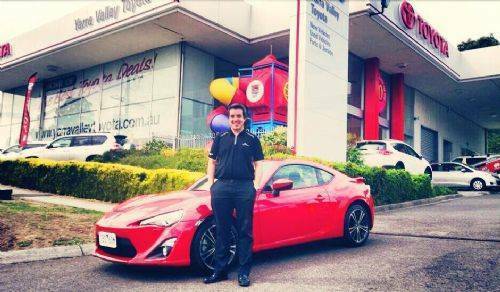 Justin Wilson collecting his first brand new vehicle - a red Toyota 86! 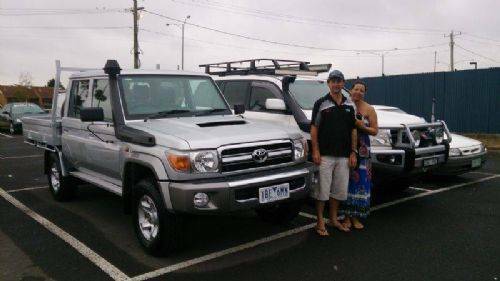 We went all the way for Andrew Aitken, delivering his new LC70 all the way to him at Melbourne Airport to save time! 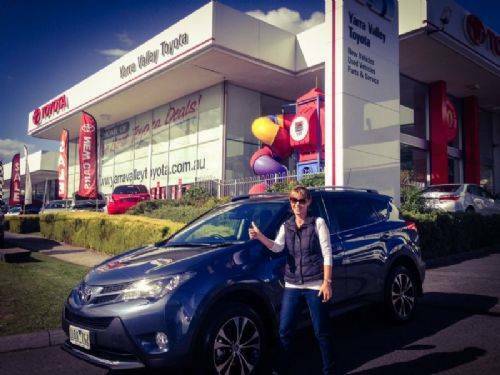 Denise from Kilsyth picking up her brand new Rav-4 GXL All Wheel Drive. She is planning a trip around Austraila in her Rav. 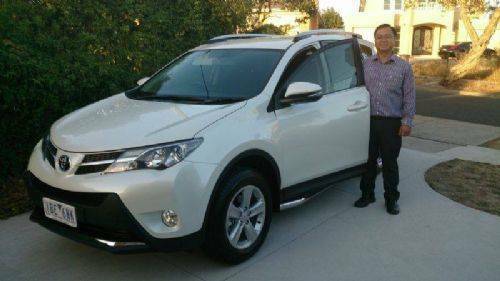 Manh was one happy customer when he couldn't find time to pick up his Rav4 only to have it delivered to him at home! Here's Geof Mooney and our newest Lilydale team member Thomas Smith basking in the afternoon Lilydale sun after finishing a thorough and in depth walk through of Geof's new Landcruiser 200. 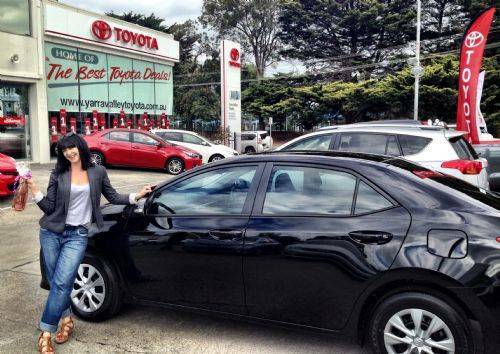 Nothing starts your week better than picking up a brand new Toyota! 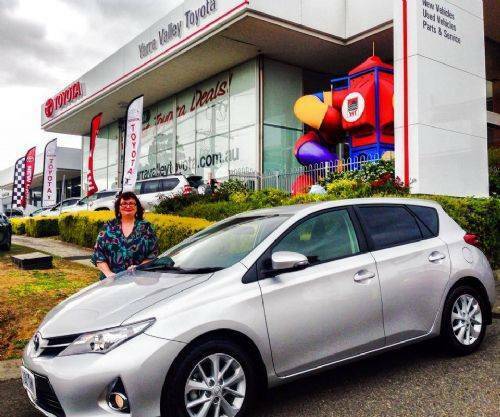 Such is the case for the lovely Susan who has just collected her beautiful Silver Pearl Ascent Sport Hatchback like Susan McMurdie did! 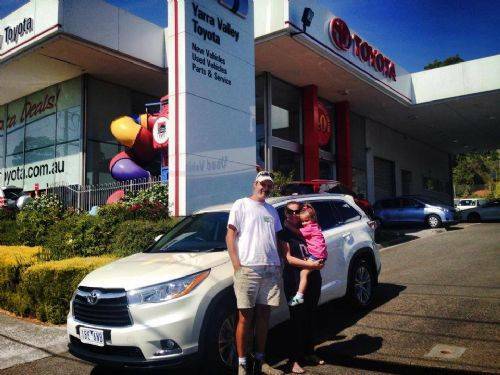 The Geerling family were over the moon being the first at Lilydale to collect a new model Kluger! 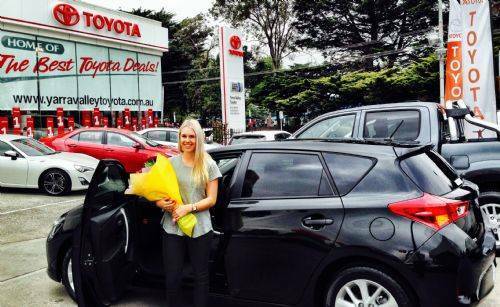 Hayley from Croydon picking up her brand new Corolla Sport Hatch.